The cloud is not only one of the most effective ways of storing data outside one’s machines, which makes them the virtual equivalent of the modern self-storage facility. When one brings mobile phones into the picture, the cloud also becomes a perfect way of taking business projects “on the go,” so that in addition to being able to operate from any computer, one can operate even away from one. Some of the many ways of using the cloud thus are outlined below. The Internet has become one of the most popular methods of shopping because of the ease by which transactions may be carried out and the absence of overhead costs as well as the broadening market sector. Mobile phones are in some ways more popular for cloud storage than desktop computers. This is partly because it is much easier to sync and share data on them. 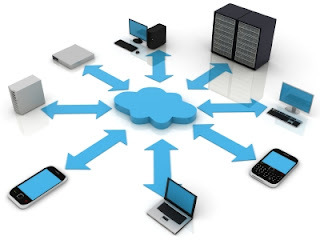 The companies that provide mobile cloud storage offer solutions of various kinds that enable their clients to store and organize files and documents. The Linux and other operating systems enable users to sync files without even having to move them. Other mobile cloud solutions offered include device management and social networking. Mobile device management (MDM) involves protecting all the phones involved in the cloud network against breaches of security. The costs incurred by infrastructure and licensing and the amount of downtime can be greatly reduced with MDM. It is even possible to boot up the device remotely! Social networking is a way for business owners to form their own online communities connected with their brands. Millions of “untapped” smartphone users can be connected in this way—again at a reduced cost. The services described above are available from Celstra Enterprise Mobility, among other companies. Engineers have developed thousands of cloud apps for mobile users, some of which are for general use and others of which are useful to a particular type of business. Sugarsync is one of the most valuable cloud storage services there are, even more so than DropBox, which one user feels has “stagnated.” Their backup services is also first rate. These two apps can be used to take notes, photographs and voice recordings, and sync them later. With both, the content may be accessed offline, but with SpringPad this service is free; Evernote charges a premium. Google Drive is now the home of Google Docs, which for several years provided a way of storing documents. The user can also create his own Word and Spreadsheet documents with this application. A business called Mobeelizer that makes it possible to synchronize all those apps so that they will automatically work offline. Such help is valuable if one needs to exchange data via a server solution or needs to connect the apps to an ERP system. You can sign up for their services on their website. The cloud—or at least Google Cloud—can also be used to back up phones that use the Android operating system. This is especially good news for the person who has to switch to a new type of smartphone and is bothered by the hassle involved in manually transferring all of his data from the old one to the new one. To perform the backup, you push the old phone’s home icon key, press "Settings” on the screen, pick “Privacy” and check “Back up my data.” If your goal is to have the backed up data “pushed” to the new phone the next time that you sign into your Google account, then also check “Automatic restore.” Then leave the settings menu and your data will be all backed up within a few minutes. From then on, all the data from your old phone—your passwords, your list of contacts, bookmarks and any apps installed there—will be available for use on the new device. “On the go” cloud computing is the future of business. Rosa Smith uses a virtual data center design from cloud-based virtual server hosting from ProfitBricks.com to help her international blog!